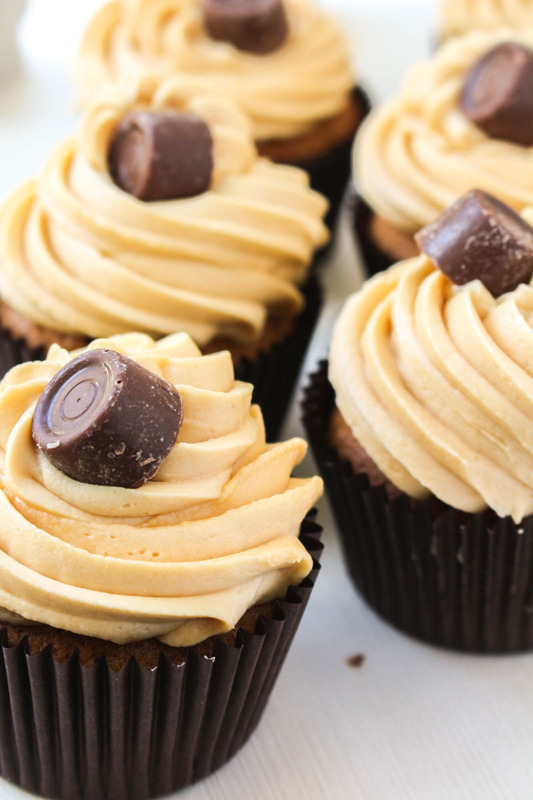 The buttercream on today’s caramel cupcakes is so good, that Katie made me promise that next time I make it, I have to make her a whole bowl of it just to eat with a spoon. The cupcakes aren’t half bad either, by the way. It took three attempts to get these cupcakes right. The first lot were a chocolate and caramel marble disaster, where I just couldn’t get the chocolate batter right. It was good, but it just didn’t hold up next to its caramel friend. I haven’t given up, they’ve just been put on hold until a simpler time (post-wedding). The second attempt just had too much sugar in it, and they suffered from that crunchy top syndrome that happens when you use your own body weight in sugar in a recipe, and then add half a tin of caramel. This recipe is adapted from the Primrose Bakery cupcake book, where all my best cupcake ideas spring from. I took their vanilla cupcake recipe, and made a few major changes. Most importantly, I added a bunch of caramel. I tried making my own caramel sauce during cupcake attempt #1 (using this recipe from Sally), but I honestly think I got just as good results from using the tinned stuff, without the hassle of melting any sugar. But feel free to give it a go – Sally’s method is the only one I’ve ever actually got to work properly, so kudos. I also added some salt, because surely you can’t make caramel cupcakes without it, and reduced the sugar down considerably (after the aforementioned cupcake attempt #2). You are definitely going to want to mix the sugar and the butter well. There is still a LOT of sugar in these beauties, so to avoid any possible crunchy top, make sure you beat it thoroughly. You are going to want to see the butter having turned much paler before you stop beating. My advice would be to beat until you think it’s ready, and then beat for a minute longer. Can’t go wrong then. Make sure you that once the flour has been added, you mix much more gently. Get the batter to the stage where the flour hasn’t quite been fully mixed in to the batter, and then add the caramel, vanilla, and milk. This keeps mixing down to the bare minimum, which is great for light and fluffy caramel cupcakes. 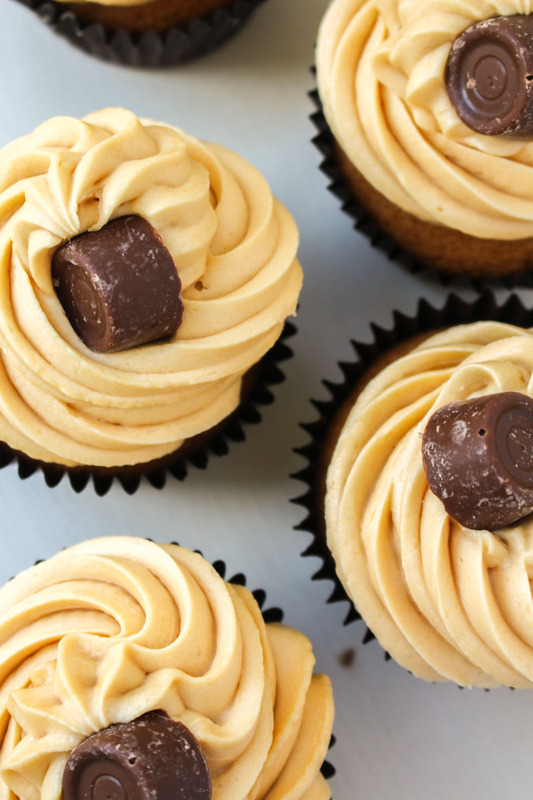 The buttercream recipe below makes an absolute tonne of salted caramel frosting. You need this much if you pile it on like I have, but if you prefer your cupcakes with a little less frosting, you aren’t going to need this much. Or you could just make a full batch and send the leftovers to Katie for breakfast. 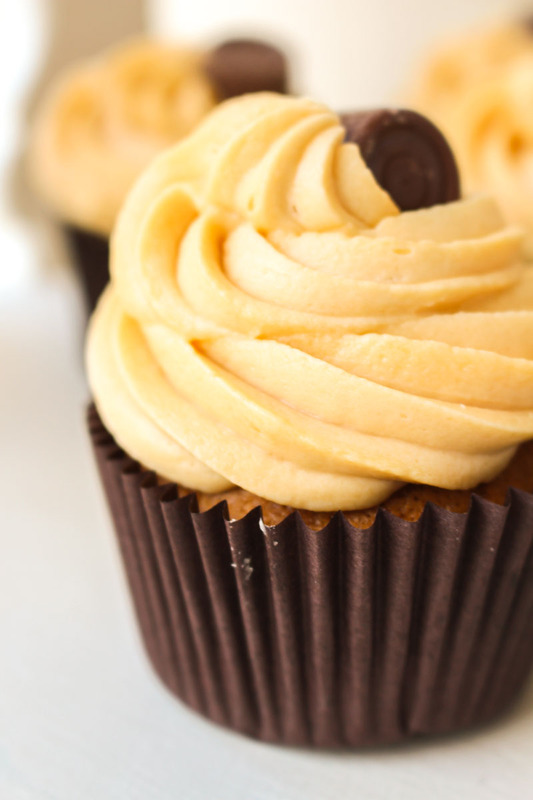 Lightly flavoured caramel cupcakes, topped with oodles of salted caramel buttercream. Preheat the oven to 180°C / 350°F (160°C fan), and put 12 cupcake cases in a cupcake tray and set aside. Beat the butter using a stand or hand-held mixer until it is light and fluffy. Add the golden caster sugar, and beat well until the sugar has been fully incorporated and has become pale and smooth. If you are unsure if it is done, then beat it some more. Add the eggs, one at a time, beating well between each addition. Add the flour, baking powder, bicarbonate of soda, and salt to the bowl. Mix on a low setting until almost fully incorporated. Add the caramel, milk, and vanilla to the bowl and continue mixing on a low speed until the mixture is fully combined. Avoid over-mixing or using a high setting. Spoon the mixture into the cupcake cases, until just over half full. Be careful not to overfill, as this mixture will rise quite a bit when baking. I used one ice-cream scoop full of batter per case, and it was just about right. Bake for 20 minutes, or until a skewer or toothpick comes out clean when inserted in the middle of the cupcakes. Leave to cool in the tray for 10 minutes, and then transfer to a wire rack to cool completely before frosting. Beat the butter using a stand or hand-held mixer for a minute or so, until light and fluffy. Add the icing sugar, and beat well until smooth. Add the caramel and salt, beating well until the mixture is smooth and the caramel is evenly distributed. If the frosting is too thick, then add a tablespoon of milk at a time until it has reached the correct consistency for piping. 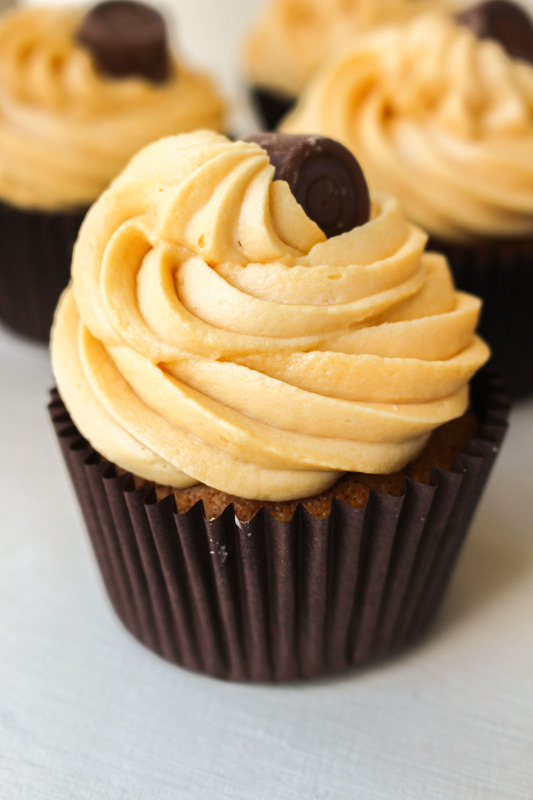 Pipe the buttercream onto the cupcakes, and then add a Rolo to the top of each cake. These cupcakes will keep for 4-5 days is stored in an airtight container. They can be frozen (un-frosted) for up to 3 months. The buttercream can also be frozen for up to 3 months.